PEMBROKE, N.C. — Behind an offensive explosion, the No. 8 North Georgia baseball team ran past UNC Pembroke in both halves of a doubleheader Saturday. North Georgia started the game with five runs in the top half of the first, scoring on a Brave error, a three-run blast by Nick Clarno and a RBI single from Jake Arnold as UNG sent 10 batters to the plate in the first frame. After the Braves answered with a two-run homer of their own in the bottom of the first, the Nighthawks scored the next eight runs, four of which came off RBI singles. Both teams hit two more homers in the final innings of the game with UNG's coming on a solo bomb by Conner Corbitt in the eighth before a two-run homer by Clarno in the ninth. Steven Bower (7-2) earned the win, going seven innings while giving up just three hits. He also struck out five UNCP batters. 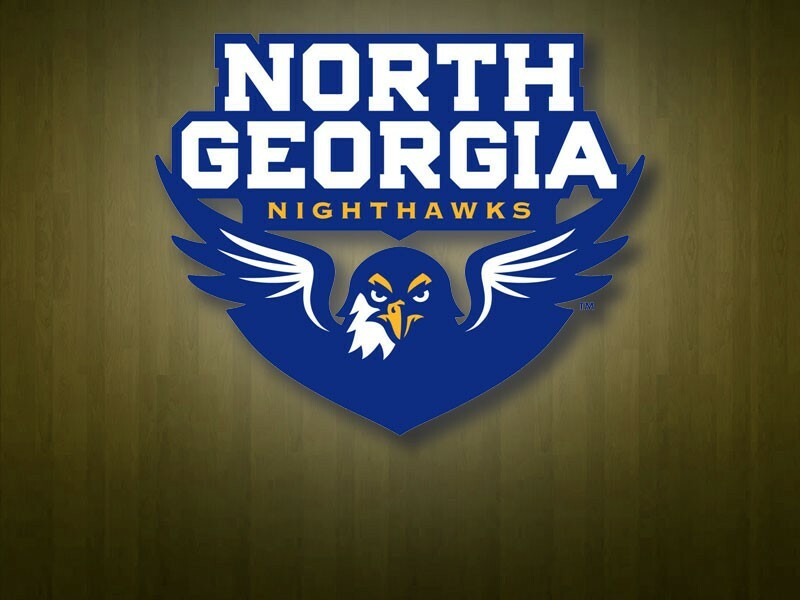 The Nighthawks scored the first five runs of the game, starting with two in the first before a William Mapes solo homer in the second inning put UNG up, 3-0. North Georgia added two more in the third on a Bill LeRoy RBI double and a Clarno sacrifice fly. After a Brave homer in the bottom of the fourth, Brady Eeles hit a solo bomb to right field to put North Georgia back up by four. The Nighthawks pushed two more runs across in the seventh inning on a Clarno RBI single and a fielder's choice to get the game to its final score. Derrick Pickvet (6-2) was credited the win after throwing seven innings of six-hit baseball, striking out five along the way. - Clarno went 5-for-10 on the day with seven RBI and three runs scored. Chase Sudduth went 6-for-9 with three runs scored. - North Georgia had 29 hits on the day. The series finale is set for tomorrow morning at 9:30 a.m.